Officiant Guy performs Indoor Weddings. There are so many wedding venues for an indoor wedding. The choices seem endless: home weddings, hotel weddings, banquet weddings, historical building wedding, coffee shop weddings, office weddings, guerrilla weddings , short notice weddings, etc. And you can get really creative depending on your budget. Whatever you choose, we can be there in the Los Angeles or Orange County area, and even further out from San Diego to Santa Barbara to San Bernardino Counties. Click here to see some of the many wedding venues where we have officiated. 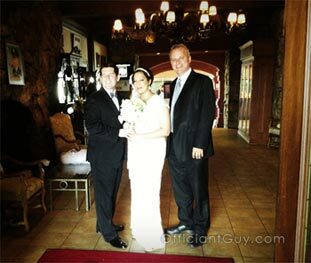 Any type of indoor wedding is totally okay with Officiant Guy! Here is are the areas in Southern California that Officiant Guy will go. If you are looking to get married, call Chris. 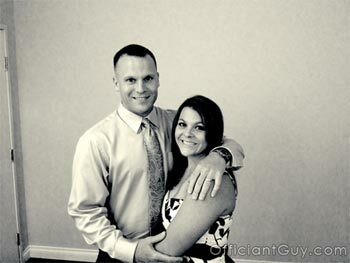 Chris Robinson is a Southern California marriage officiant. He has been performing wedding ceremonies and providing California confidential marriage licenses for over dozens of years. If you are getting married somewhere in Los Angeles County to Riverside County give the most popular minister for weddings in LA County a telephone call at (310) 882-5039 or (562) 547-3255 or fill out the contact form.